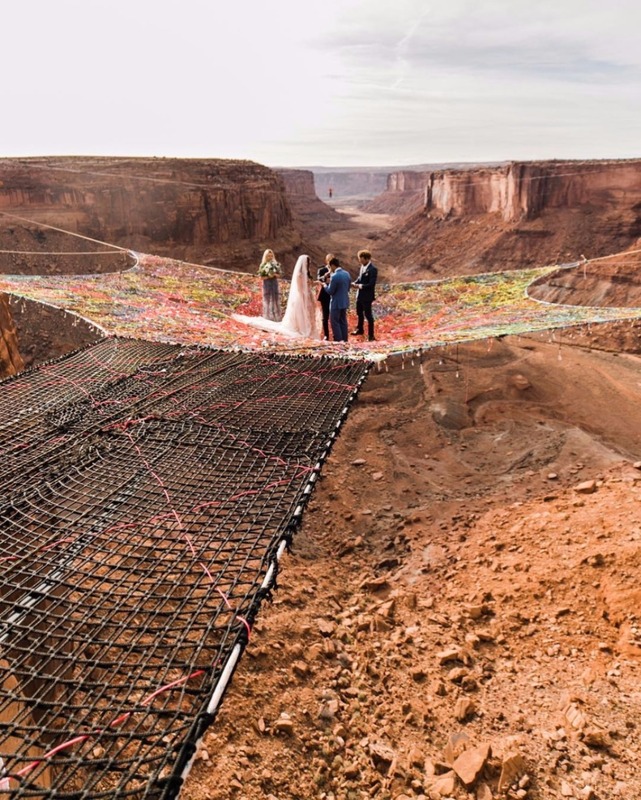 We found this AMAZING EPIC OMG wedding on Instagram and we had to share. Seriously, this wedding is so extra! We're officially obsessed with Kim and Ryan for having the coolest wedding ever. The Hearnes (who by the way are having an adventure workshop in Yosemite this Feb) photographed their wedding and they are definitely the definition of an outdoor/adventure photographer.